Our experience is improper apron flashing is in the top five roofing issues as it pertains to additions. Be it brick or siding, proper apron flashing is imperative and most general contractors don't do it properly. 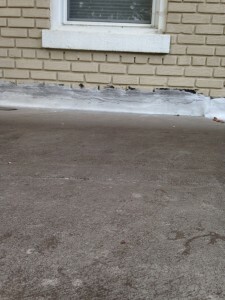 The apron flashing should be a monolithic piece of metal and go under the siding or through the brick to provide real security against the elements. We normally see a poor caulk job and no through wall flashing on repair calls for issues like this. If your addition is leaking at the area where it connects to the home, this is in the short list of things to look for.